Illustrations note 40 Illustrations, color; 181 Illustrations, black and white; XVIII, 380 p. 221 illus., 40 illus. in color. 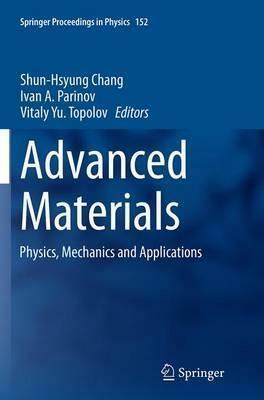 Processing Techniques of Advanced Materials.- Physics of Advanced Materials.- Mechanics of Advanced Materials.- Applications of Advanced Materials.